K&N PANEL FILTER ulah, CAM, J3 CHIP, 128.3 RWKW, F6 TYPHOON RIMS, FULL TAN AND BLACK INTERIOR, CUSTOM BOOT INSTALL IN PROGRESS.. I will be sacrificing volume... So will be taking all your advice into account to make sure the little volume I have left is used to its fully potential. umm to do the floor, do you just pack it up underneath in a few different spots till it sits square? Yer that's what I done remember to leave room for carpeting. im assuming your talking about when making all the sub/amp boxes... yeah i was just thinking about that then... have to go for a wonder to find out how much/what sorta carpet to use, so i know what sort of clearance to allow for. 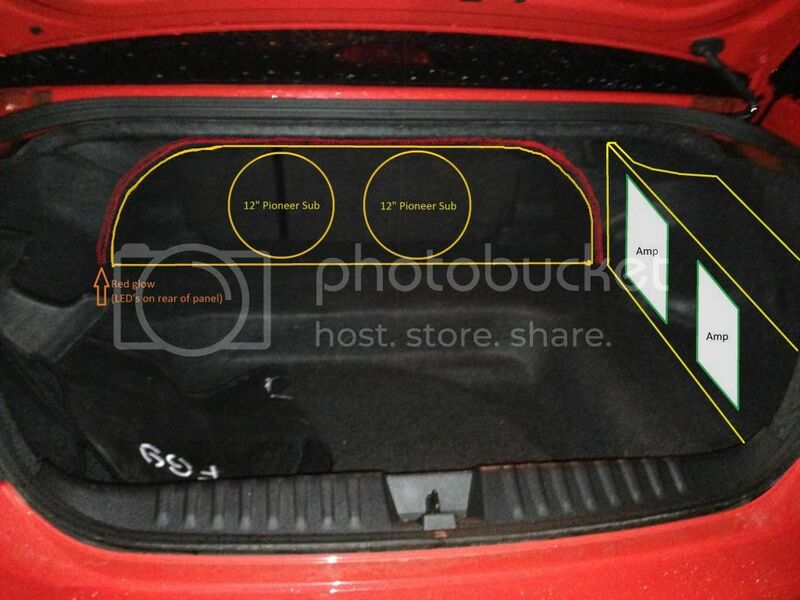 Whats the best way to get a template of the area behind the back seat in an Ef sedan? I wanted to block off the area and mount 2 amps there as I am not happy with the amp box I made. 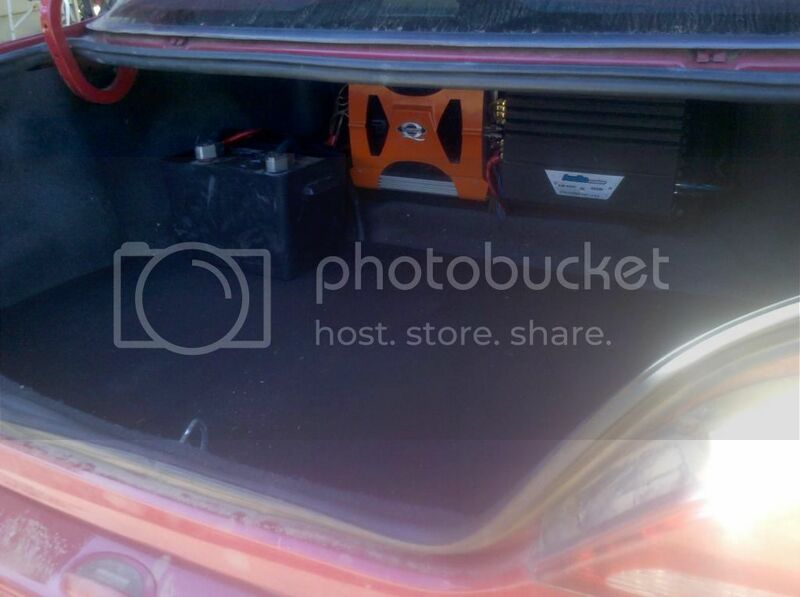 The idea was to have the amps mounted so no s**t for the kids i.e prams etc could damage the wires connected to the amp, but it takes up too much depth space for my liking and even though the other idea will still take up space, I think it will be less of an impact on boot space. 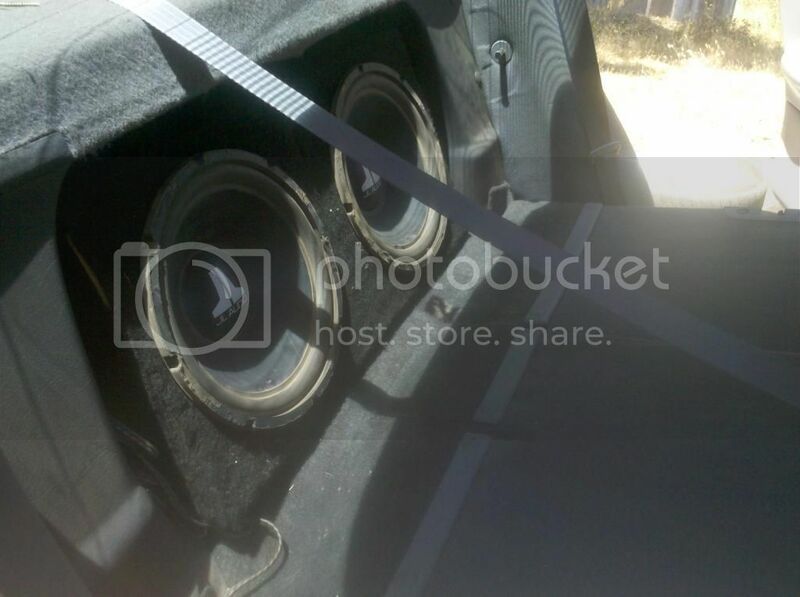 if you are that worried about the space amps take up mount them to the rear seat or under the front seats. I was going o buy a Fairlane, but the Mont came up a better deal at the time. Its more the exposed terminals Im worried about getting damaged. The fire thing was from possibly being caused from heat under the seat as it feels like its pretty cramped for height under there and there is little ventilation. Best case that cant be good for the circuits components. Finally finished off my boot install today, I had big plans, but in the end went with this. 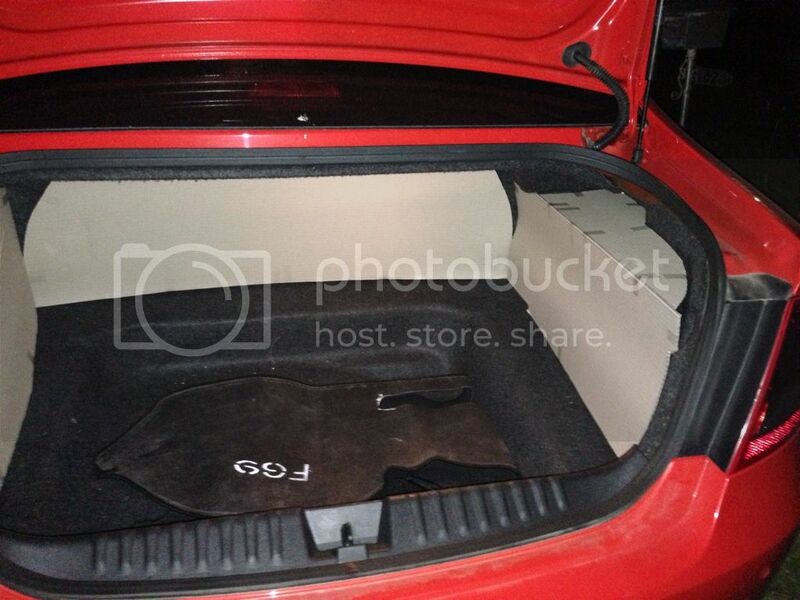 It's simple, but gives me plenty of space in the boot. I removed the gas tank, so had to redesign it anyways. Plus it has a nice flat floor now, with a flap that opens to access the spare tyre.